Absolutely gorgeous! Dazzling turquoise waters, white sandy beaches, and overwater villas await at the recently opened Soneva Jani Resort in the Maldives. The large, beautifully designed villas range is size from 1 bedroom to 4 bedrooms with open air bathrooms, retractable roofs, private pools, an outdoor deck and seating area, and some even have water slides leading directly into the lagoon. Besides the obviously fantastic snorkeling and water-based sports available, there are some unique experiences that can be arranged such as: a private outdoor cinema under the stars, complete with prosecco and popcorn; a Robinson Crusoe Castaway picnic (don’t worry, return trip included! ); stargazing at the Maldives’ first overwater observatory and the country’s largest telescope; or an authentic Maldivian cultural visit to the island of Kudafari, a small fishing island. 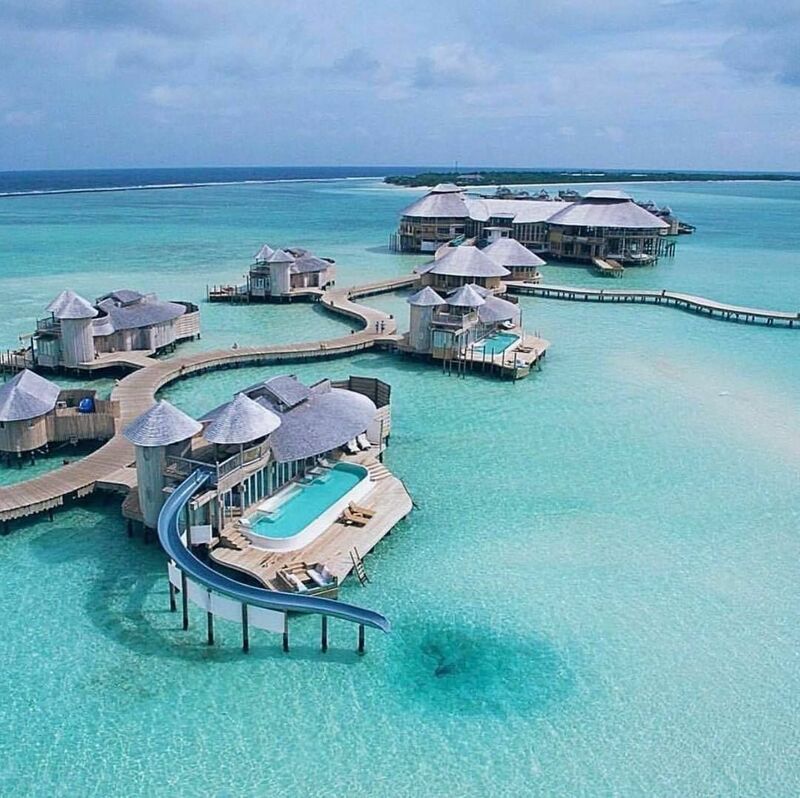 Escape to paradise at the Soneva Jani Resort!